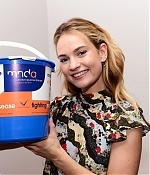 From the award-winning Darkest Hour to a joyful musical hit, the versatile British actress continues to enchant audiences with her effortless wit, charm and accomplishments. She looked great wearing a Riccardo Tisci for Burberry Spring 2019 two piece look. Several photos from the evening have now been added to the gallery, enjoy! Yesterday (October 17), Lily attended the press night after party for “Company” at The Prince of Wales Theatre in London. 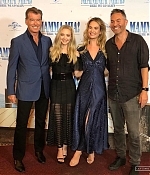 As patron, Lily attended a special screening of ‘Mamma Mia! 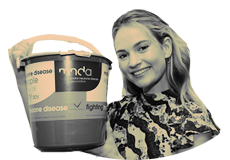 Here We Go Again’ to support the MND Association on July 22 in London. Check the gallery for pictures! Lily and Amanda Seyfried stopped by AOL BUILD to speak about ‘Mamma Mia! Here We Go Again’ on July 19 in New York City. The whole interview can be found below and high quality pictures have also been added to the gallery so enjoy! On Monday night (July 16) the World Premiere for ‘Mamma Mia! Here We Go Again!’ has taken place at the Eventim Apollo in London. The whole cast joined Lily for the occasion! She looked really amazing in a beautiful Oscar de la Renta gown with jewellery by Annoushka and Christian Louboutin shoes. More than 500 photos from the event have now been added to the gallery, be sure to check them and enjoy! 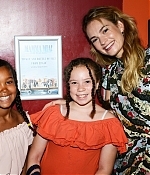 Back on July 11, while in Stockholm, Lily also attended the official Press Conference for Mamma Mia: Here We Go Again! held at the Grand Hotel. For the occasion she wore an Emilia Wickstead dress with Delfina Delettrez earrings and Christian Louboutin shoes. Several photos from the conference have been added to the gallery, enjoy! After Stockholm the Mamma Mia: Here We Go Again! promotion moved to Hamburg (Germany) for a photocall and a premiere. During the photocall Lily wore a Brock Collection floral dress and for the premiere a Saloni night blue (beautiful) dress. Several photos from the photocall, and sadly only one from the premiere have now been added to the gallery. Enjoy!